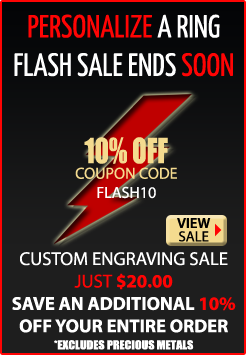 You are purchasing one Tree Camo Tungsten Ring. This ring is 10MM in width, has a beveled edge, and a very Real Tree Style Camouflage inlay. 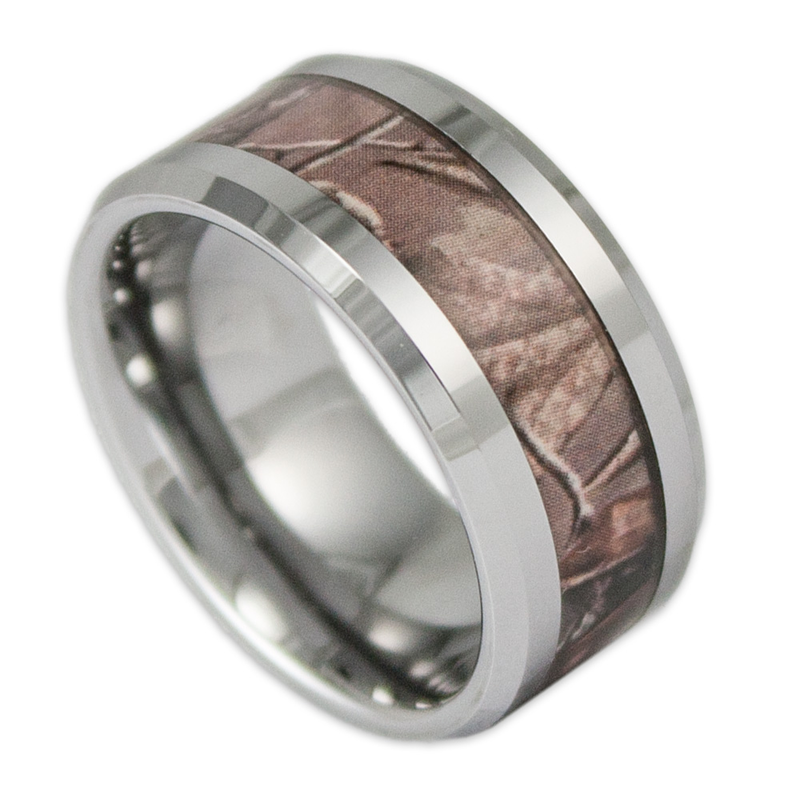 Whether you are a hunter who needs to blend in, or just a fan of the camo look - this is the ring for you! The metal is polished to a high shine. This is a scratch resistant ring - making it a rugged look, as well as a rugged ring! This 10MM Tree Camouflage Tungsten Wedding Ring is a popular choice for a wedding band, but can certainly be worn as a great piece of jewelry. 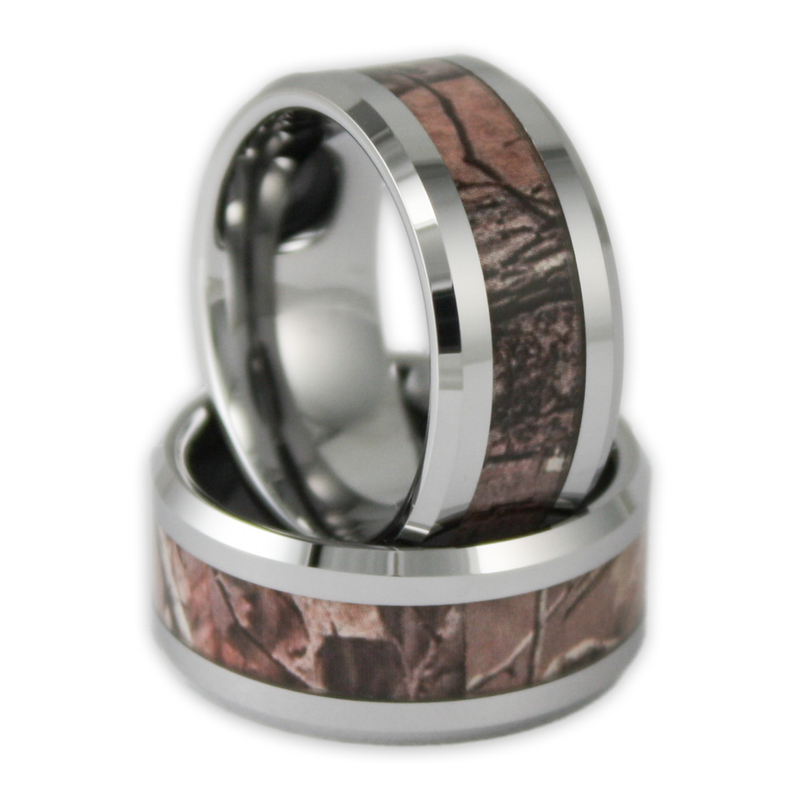 Buy with confidence as this 10MM Tree Camo Wedding Ring comes with our 21-day satisfaction guarantee and includes our Lifetime Warranty.